I sat down to write this post no fewer than four times, and each time I came up short. 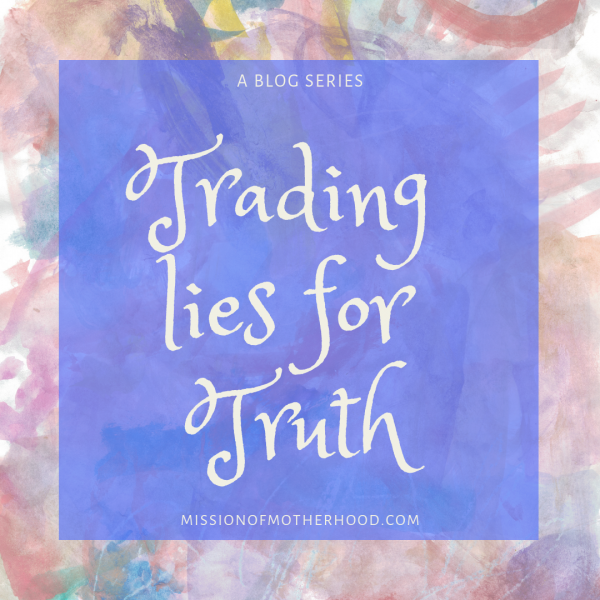 The myriad of lies we believe as moms, as women, as sisters, as children, as friends, all ran through my mind. Some of them were so beautifully articulated already in this collaborative series by my friends Mikenna, Amanda, Lily, and Katie.